Henry Wilson and his sister Rosie know exactly where they live - and not just the street, the town and the country. They know their place in space. With fabulously detailed illustrations by bestselling illustrator Roland Harvey and Joe Levine, this book will enthral children and awaken their curiosity about the Universe. To the astonishment of the bus driver, Henry and Rosie are able to give their complete address, right down to their hemisphere, their planet, their solar system - and beyond. 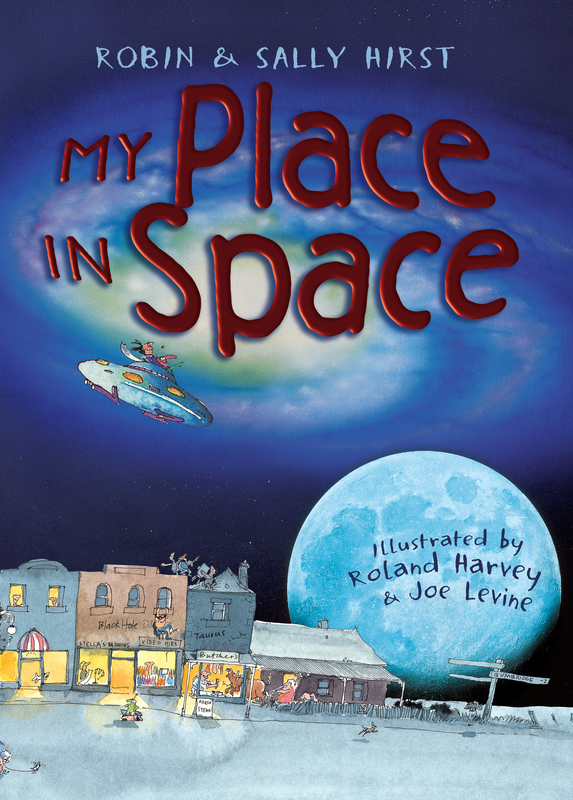 My Place in Space is the perfect way to introduce children to the wonders of astronomy. Originally published in 1989, this brand new edition will enthral a whole new generation of stargazers. Robin Hirst was appointed Director of the Melbourne Planetarium with Museum Victoria in 1981. He is currently Director, Collections Research and Exhibitions for Museum Victoria, Australia's largest museum organisation. Sally Hirst is a Director of a consultancy company that solves problems, develops business ideas and marketing plans for Australian museums, galleries, libraries, parks and gardens. Roland Harvey is one of Australia's best-loved illustrators. His books include At the Beach, In the Bush and In the City and the Bonnie + Sam series - The Horses and Ponies of Currawong Creek, in collaboration with Alison Lester. Joe Levine worked in an art studio from age 16. He has a Bachelor of Arts (Eng. Lit), is currently completing a master's degree in Renaissance Studies and he has a lively interest in literature, classical music, jazz, judo and karate.